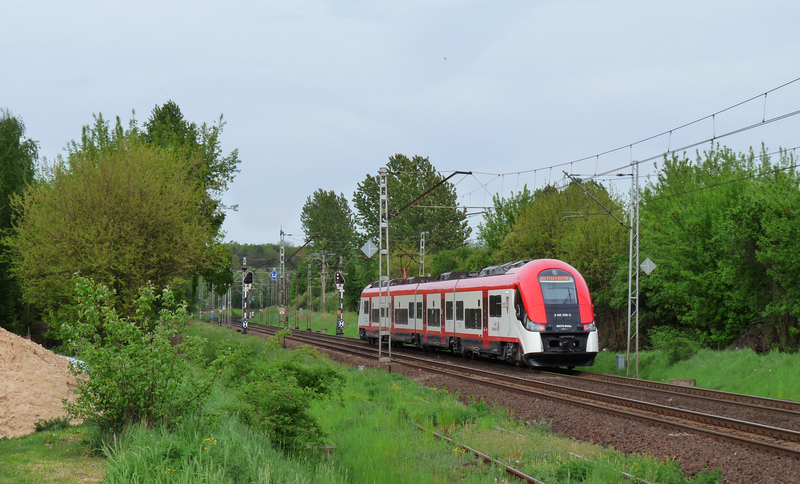 Recently, Koleje Wielkopolskie (KW) announced the winner of a tender for the delivery ten 5-carriage EMUs. Of the three submitted bids, Pesa had the best offer, proposing to deliver electric trains of their new ELF 2 type. Pesa will deliver for 238 mln. zlotys in total, beating Newag (244,63 mln.) 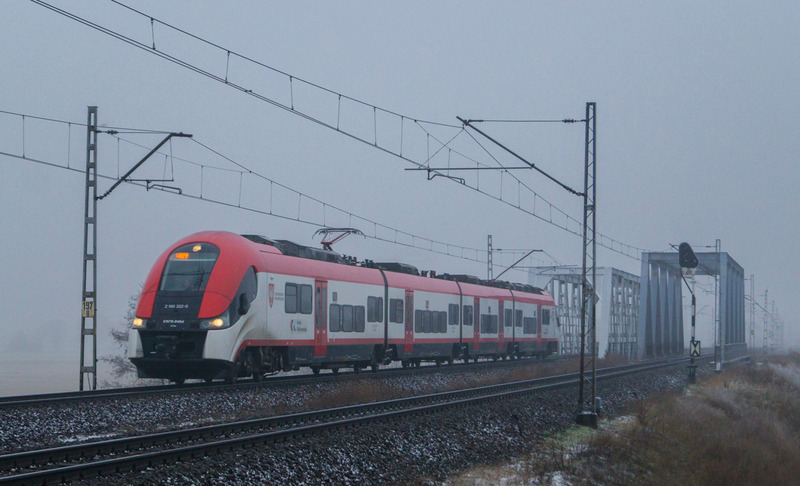 and Stadler Polska (287,82 mln.). An increasing number of passengers made KW decide to buy more rolling stock. The new 5-car ELF 2’s will have a topspeed of 160 kph in regular service. Axle load can’t be higher than 18,5 tons, also length of a one train is restricted to 92 meters. One train will feature 282 sets, which is 40 more than was required in the tender specification. The trains will have leveled entrances at 760 mm above track top; 90% of the total interior area will have low floors. Ticket machines will be available in each carriage. Pesa commits itself to a 96 month warranty period, during which it will correct errors resulting from the building process. Currently, KW operates 22 (4-carriage) trains from the first generation of Pesa’s ELF platform, ordered in 2012. All of them are the property of Wielkopolska’s province office. The designated 22WEa series, numbered EN76 026-047, is mainly used on regional routes from Poznań Główny to Kutno and Zbąszynek. I'm trainspotter coming from Poland. 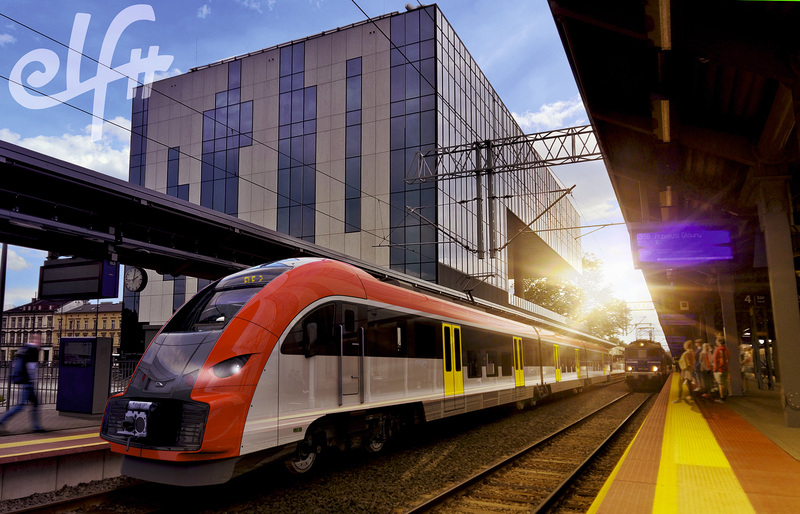 My articles are focused mainly on news from polish manufacturers like Newag or Pesa. In Railcolor since 2016.